Upgrading to Windows 10 should improve the user experience, rather than bringing annoying issues. Since we don’t live in a perfect world, sometimes problems appear when making the transition to Microsoft latest operating system, which by the way has more than 300 million active users. I’m in the same exact position. […] It reads all of my folders from AOL, but does not sync any emails! AOL mail server settings – The main cause for sync problems with AOL mail are the server settings. If you have any problems with AOL mail, be sure to check if your server settings are correct. AOL and Windows 10 problems – There are many problems that can occur with AOL on Windows 10. If you’re having any AOL problems, be sure to try some of our solutions. 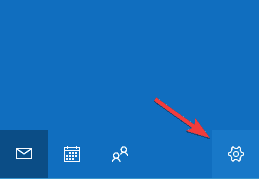 How to add AOL email to Windows 10 – Synchronization problems can occur if you don’t add your AOL email properly. To avoid this problem, we’ll show you how to add your AOL email to Windows 10. AOL Mail app not working – If AOL isn’t working in the Mail app, the problem might be your antivirus. Simply disable your antivirus and check if the problem is resolved. In the Mail or Calendar app, select Settings. Go to Manage accounts > Delete an account > select and delete the AOL account. After you remove your account, you need to add it back again and check if the problem still persists. Go to Settings > Manage accounts > select the AOL account. Incoming Mail Server: imap.aol.com (Use port 143 for standard or 993 for SSL connections). SMTP Outgoing Server Address: smtp.aol.com. Set the port to 587. SMTP Password: password you use to login to Windows 10 Mail app. It’s also worth mentioning that you need to use IMAP protocol in order to synchronize AOL email with Windows 10 Mail app. POP protocol might work for other devices and email clients, but in order for AOL to work with Mail app, it’s crucial that you use IMAP. 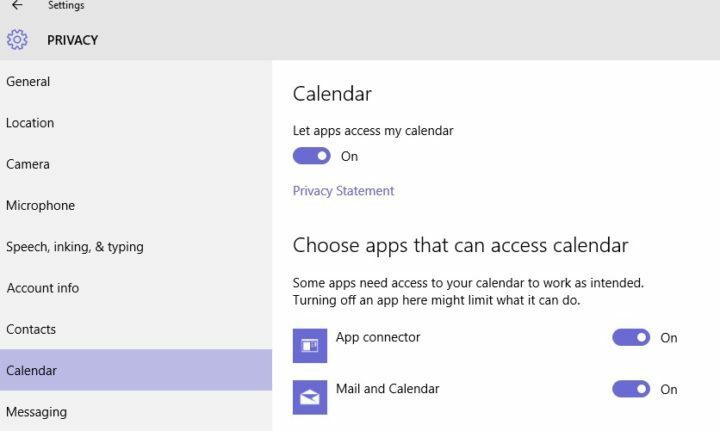 Go to Settings > Privacy > Calendar > Turn on the “Let apps access my calendar” feature. 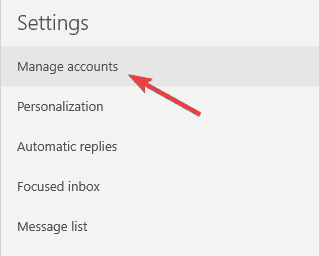 In your Windows 10 Mail app, go to Settings. Click on Account settings and select the AOL account. In the new dialogue box, click on AOL Sync Settings and personalize the sync duration. 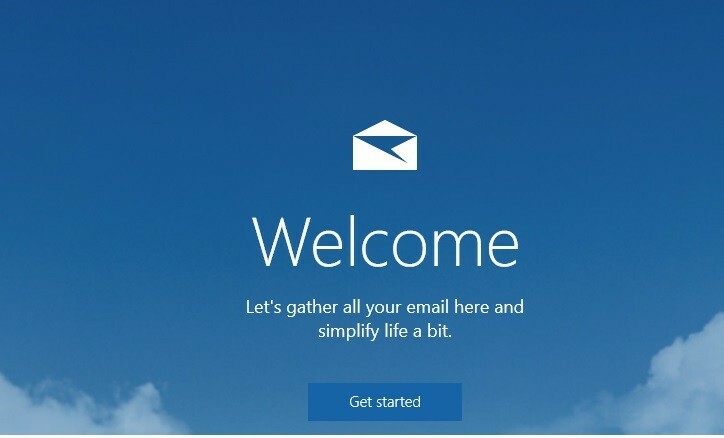 After following these steps, Windows 10 Mail will start synchronizing your email accounts. If you can’t sync AOL email with Windows 10 mail, the problem might be your antivirus. Many antivirus tools have a built-in firewall, and sometimes you might block certain applications from accessing the Internet. To fix this problem, it’s advised to check your antivirus settings and change them. The most common problem is your firewall, so be sure that Mail app is allowed to go through your firewall. If the firewall isn’t the problem, set your network type in your antivirus to Trusted and check if that solves the issue. In some cases, you might be able to fix the problem by disabling your antivirus. Keep in mind that even if you disable your antivirus, your PC will remain protected by Windows Defender, so you don’t have to worry about your safety. If disabling the antivirus doesn’t help, your last choice is to remove your antivirus. Sometimes removing your antivirus can solve this problem, and if you choose to remove your current antivirus, you might want to consider switching to a different antivirus solution. There are many great antivirus tools on the market, and some of the best are BullGuard, Bitdefender and Panda Antivirus, so feel free to try any of them. If you can’t sync AOL email with Windows 10 Mail app, you might be able to fix the issue by running the Troubleshooter. Windows 10 comes with all sorts of troubleshooters, and these tools are designed to scan your PC and fix various problems. Select Troubleshoot from the left pane. In the right pane choose Windows Store apps and click Run the troubleshooter. Once the troubleshooter is finished, any common problems with Windows Store apps should be resolved. Keep in mind that this isn’t a universal solution, so it might not work for you. Open the Settings app and go to Network & Internet section. 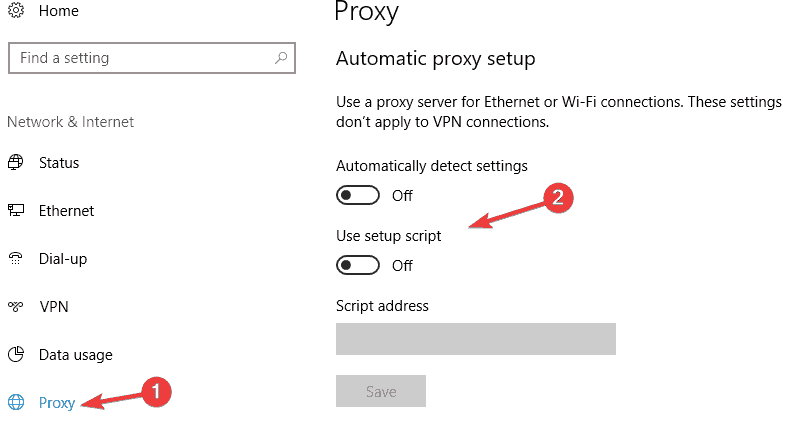 Select Proxy from the menu on the left. In the right pane make sure that you disable all features. After doing that, check if the problem is resolved. If you still want to protect your identity online, a VPN is always a good option since it offers many advantages over a proxy. There are many great VPN tools, and if you’re looking for a new VPN, we advise you to try out CyberGhost VPN. If you’re unable to sync your AOL email with Windows 10 Mail app, the problem might be your email account. Many users use two-step authentication in order to protect their email account. This is a good practice since malicious users won’t be able to access your email even if they steal your password. Even though two-step authentication is a great security feature that you should definitely use, sometimes this feature can cause problems with Mail app on Windows 10. Many users reported that they were unable to sync their AOL email with Mail app due to two-step authentication. As a workaround, users are suggesting to disable two-step authentication for your AOL email and check if that solves the problem for you. By disabling this feature, you’ll reduce the security of your email account, so you might want to think twice before disabling it. If you can’t sync AOL email with Windows 10 Mail app, you might want to consider using a different email client. There are many great email clients available, and if you’re looking for a new email client, be sure to check our article on best email clients for Windows 10. If you’re looking for an email client that resembles Mail app, we recommend you to try Mailbird. On the other hand, if you want an email app that looks more like your webmail, you might want to try eM Client. Press Windows Key + S and enter powershell. 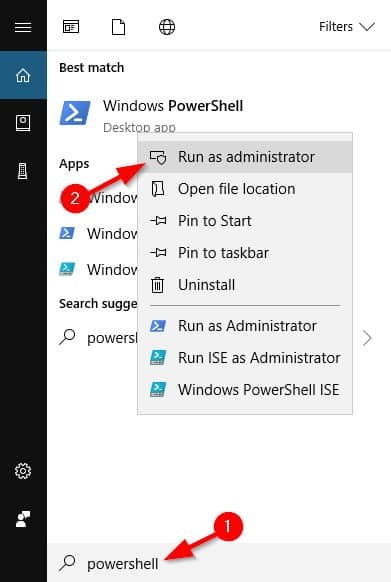 Right click Windows PowerShell and choose Run as administrator from the menu. After doing that, go back to the Windows Store and download Mail and Calendar app again. After you reinstall the application, check if the problem is resolved. These are some solutions that will be able to help you with AOL email and Mail app issues, so feel free to try them all. Thunderbird vs OE Classic: what email client is best for Windows 10?